Use halide for growing and sodium for flowering; all in the same system! Hydrofarm's Powerhouse convertible ballasts feature engineered transformers made to the exacting American National Standards Institute specifications. They are designed to drive either halide or sodium bulbs properly with separate wire leads. They are marked according to UL standards for use with either bulb. 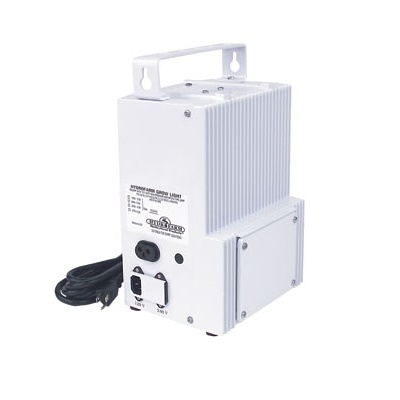 We pair this engineered unit with our heavy duty multi-pole switch for the ultimate in safety and reliability – the convertibles you can count on!